My mom can bake. Boy is she tanned! Just kidding. She bakes in an oven, not in a tanning bed (unless she and my dad are headed to Cuba and then all bets are off. She’s all about getting “the base.”). My kids are obsessed with Grandma’s muffins. So is my dad.…wokka-wokka. Sorry, that was terribly wrong on so many levels, but it made me laugh so I’m keeping it. 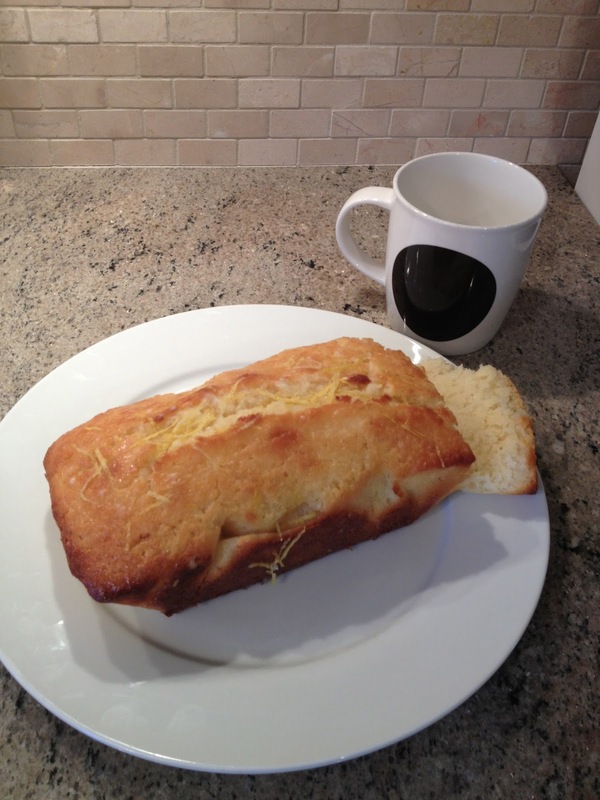 I’ve been after the Lemon Loaf recipe a friend gave her for years! For some reason my dear mother has been unwillingly to share. Why? I mean, she shares everything else. Ever time I go to her house there’s a stack of newspaper clippings she’s cut out for me to read and movies she’s signed out from the library for me. She buys two of everything when she goes to Costco so she can share the goods with her daughter. If sharing is caring, then my mum cares… a lot. There’s also the matter of her “over-sharing” which I won’t get into now. If you’ve seen my Facebook status updates, you must know that the over-sharing apple doesn’t fall far from the Apple computer. So why wouldn’t she give up her recipe? Oh silly mummy, I can’t bake, remember? I can cook my whisk off, but my baking has been known to stun taste buds. I just wanted the recipe so I could post it on my blog because it’s beyond DELICIOUS!! 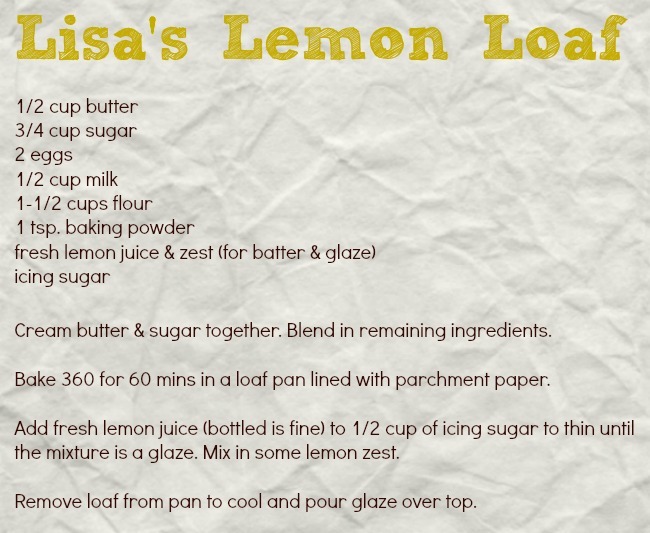 Here’s a look at my mother’s Lemon Loaf. Plus her coveted recipe. I *may* have adjusted the name slightly…. P.S. 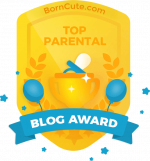 The post is so getting me grounded….